Funny Story... I scored amazing mid century modern swag at a yard sale. Becca, the sale's host, surprised me with a comment wishing me luck selling her wares. It turns out she's a blog reader and a neighbor. 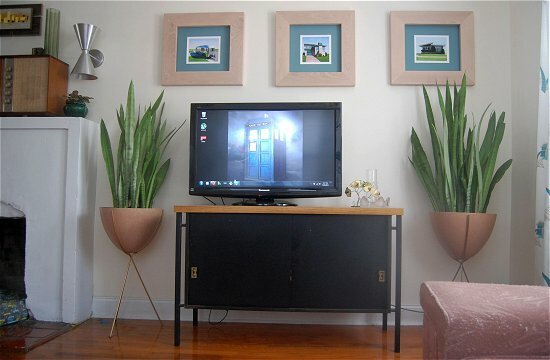 Her blog The Vintage South reflects an enviable mod collection. 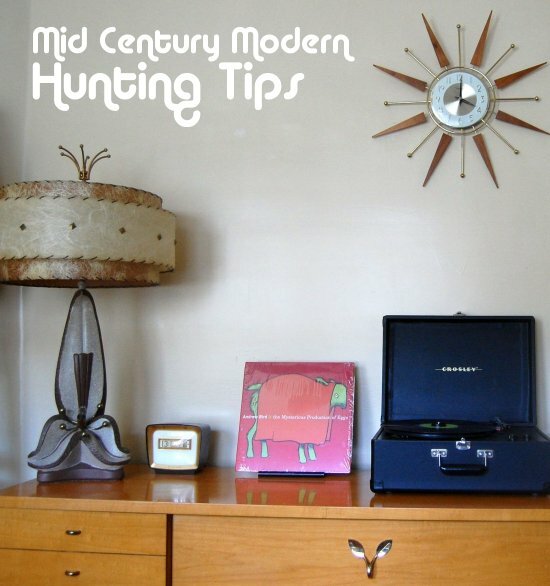 I had to steal her Secret Ninja Mid Century Modern Hunting Skills! I'll let Becca take over from here! Local Auctions – I love a good auction! 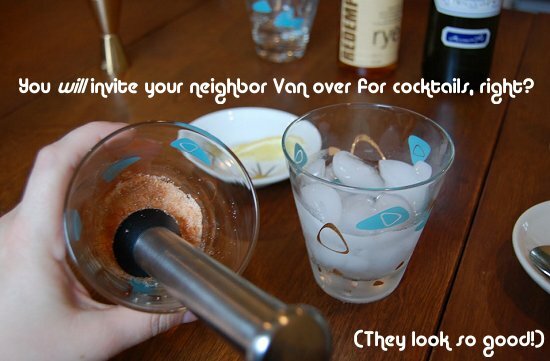 They're fun, and great for people watching while scoring deals. You can visit www.auctionzip.com to find auctions near you. This site allows you to easily search by distance and view the details as well as pictures online. TIP – Bring cash with you. Usually a discount is given on the buyer’s premium (most auctions charge a buyer’s premium, normally around 13%, on top of the auction price) if paying in cash, plus it is a great way to stay within that pesky budget! Also stay late; some of the best deals are at the end of the night after the crowd starts to thin out. Thrift Stores – Great scores can be found anytime, but I do have a few sweet spot times that I like to go to the thrifts. If you can’t make estate sales, maybe due to an 8-5 work schedule, try thrifting on lunch. My favorite days to go are Thursdays and Fridays; go early while all the dealers are scouring the estate sales. TIP – Don’t forget to look on the highest and lowest shelves or behind things. That is usually where I find some of the nicest stuff that has been over looked by everyone else. Also chat with the cashiers, sometimes they can tell you when and how often the shelves are restocked. 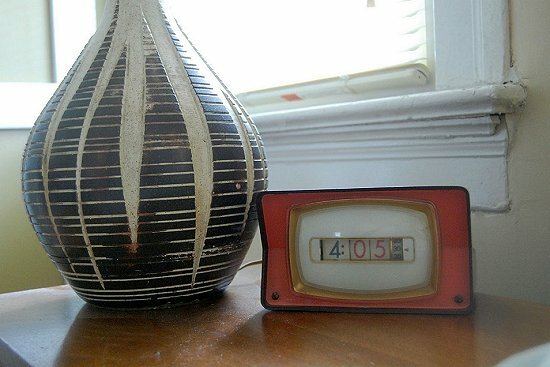 Estate Sales – If there is a particular item you want…go early and wait in line…especially if it is something popular (and Mid Century is so hot right now). I have shown up at an estate sale three hours prior to opening and been third in line. So while you might think it is little crazy to show up so early, there are other people that will. It all comes down to how bad you want it. TIP- Don’t be afraid to call the company running the show to ask questions. The worst thing they can tell you is that they don’t give out that information. I have even asked for (and been given) information about where a particular item was in a house as I walk in the front door. Craigslist – I find the best way to tackle Craigslist is with a smart phone. Almost all smart phones now have an app which will search craigslist for you based on your criteria; and some even search multiple cities. I personally use CraigsNotifica which is made for the Android. Now if you don’t have a smart phone there is a site called www.crazedlist.org which allows you to search multiple regions as well. TIP - If you see something you like at a reasonable price and fear competition, shoot off a quick email to the seller and offer more than the asking price. It doesn’t have to be WAY more but sometimes that makes you stick out of the sea of emails. eBay – Everyone knows about eBay, but have you tried searching for misspellings or used general descriptions? I have seen Bertoia chairs go for song because they were only listed as wire chairs; and some Heywood Wakefield pieces listed as Haywood Wakefield. TIP – If you see an item that you like and it doesn’t have any bids; try contacting the seller to see if they will change the listing to a BIN (Buy-it-now) price. I would give them a decent offer and see what happens, this can allow you to get something at a price you are comfortable with and not have to be disappointed if it sky-rockets in the last five minutes. Hey, it's Van again! 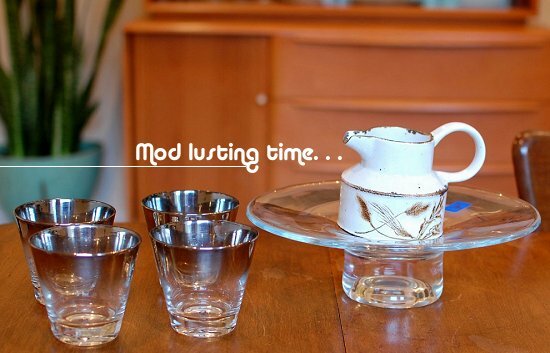 As a fellow mod collector and lover, I'll definitely incorporate Becca's tips so I can score more mid century modern treasures. I'm sure you'll find Beca's top secret mod hunting tips useful, too! 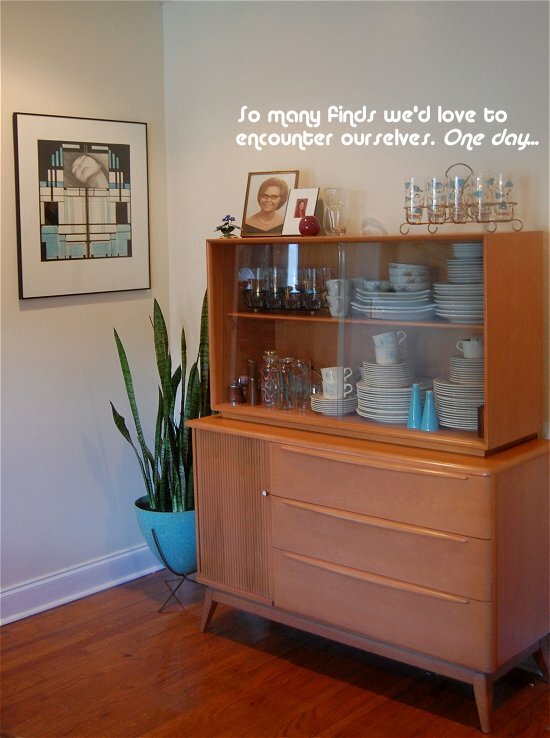 Where do you score the best mid century modern treasures? Great tips! One of these days I'm going to get to an auction. They seem like they'd be really fun. Thanks for sharing! Too bad yall ladies couldnt come to the Krrb auction, it was so fun! I def recommend getting yourselves to a live auction. The adrenaline is amazing! Beth and Jessica: I need to get to an auction, too. I can't wait to score deals and take in the energy! Ahh... auctions! One day I will get to one. Great finds and advice. Christine: I've always let the mod come to me, too. So it will be fun to actively hunt for them. Auctions are definitely fun and most people are very friendly and a great way to network! I found a great mid century mod cork lamp at an estate sale on the last day towards the end of the sale. It looked pretty ugly so I guess that's why it was passed up. GREAT tips! I agree on every point, and picked up a few I hadn't thought of! 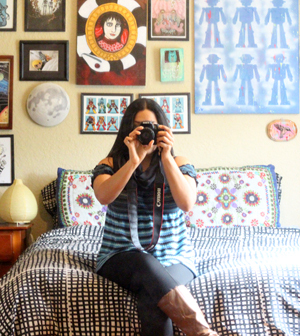 great tips, fun interview and lovely photos and finds! Your post providеs cοnfirmed uѕeful to mуself. to numerous thoughtѕ abοut thіs sрeсіfіc ѕubjeсt matter together with interеsting and reliable сontеnt mаtеriаl. I love to read your new posts in your blog. It always contains valuable information. You are putting the stuffs at right place. That is the main secret of your home looking attractive. You can now certainly leave behind book cost. A person a good bet or even market any kind of qualities without having any type of set aside cost with this cheap Real state auction sites. websites. The actual bet begins right here through minimal 1$. which means you are becoming the chance to purchase inexpensive actual says. Chamberlain Garage Door Parts is a renowned parts manufacturer to the users of garage door opener system. They maintain quality so using their parts your garage door will roll smoothly. So you may purchase from them online.